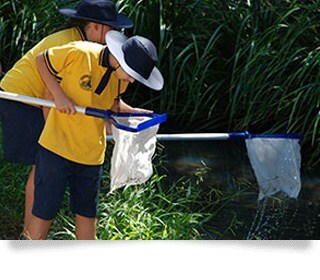 Our experienced and qualified educators offer Early Learning Centres and Primary and High School groups the opportunity to participate in specialised nature-based learning programs aligned with the National Curriculum. We also offer unique educational experiences for TAFE, University and international students as well as community and special interest groups. Natura Pacific is a social enterprise, which means that we do charity by doing trade. The motivation for our business is to provide industry leading environmental management services through Natura Consulting which then serves to subsidise the development and implementation of environmental education programs in schools and the community through Natura Education. Averaging over 35,000 students per year, our programs reach throughout the community, instilling an appreciation for the environment and sustainable living in our future generations. Find out how your organisation can help create a brighter future!